Kick Start to Our Opening Weekend! I'm here at Cisco Bree Public in Logan Airport trying a beer recommended by non other than our very own Brewmaster! He recommended a beer called Whale's Take Pale Ale, and I must say his suggestions never let me down. I will have him write a review up for it when I talk to him. But now I'm waiting for my flight to Texas for our big event, and to help launch our big weekend long contest! I hope that all of you fellow Man Cave Dwellers are busy cleaning up for a big photo or video op tomorrow. 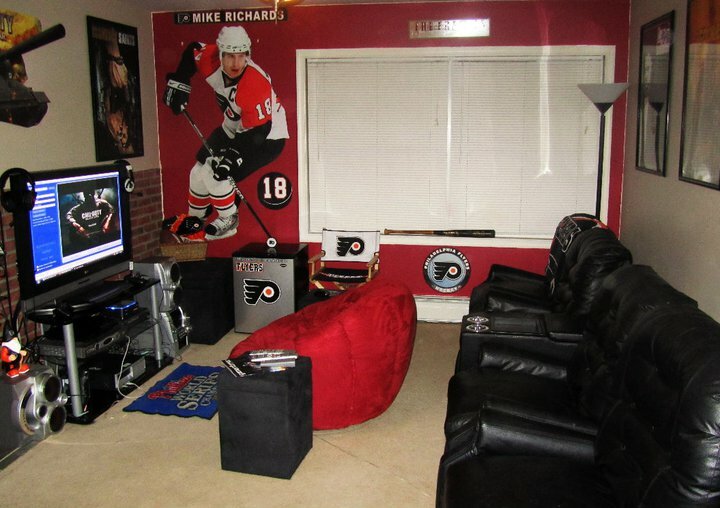 I can't wait to see and rate these Man Caves! Well I will be releasing more information about our big event early tomorrow, so kick back and enjoy a cold one guys! Ultimate Man Cave Competition Begins Tomorrow at 6!! The Ultimate Man Cave Competition begins tomorrow night at 6 P.M. Eastern Time. Up for grabs are FIVE $20 Amazon.com giftcards! For all the rules and regulations check out the Ultimate Man Cave page above or click on this link. NBA Top 10 from 3/30 and Best of the Week! Resident Evil: Operation Raccoon City Trailer! All you zombie killing fans are in for a big treat from Umbrella Corporation this winter! Resident Evil is coming out with a brand new concept for the franchise that puts up to 4 players on Umbrella's side of the battle! You use teamwork to combat the infection and help squash any evidence that links Umbrella to the mishaps of Raccoon City. Along with this new approach we are told that you will have the chance to even battle and interact with old Resident Evil characters and based on your choices you could change the history of Resident Evil as we know it! You use team tactics and even get to use special bio-engineered zombies to aid you in covering up the Raccoon City mess! Can you say Nemesis is now your pet!?!?! We hope so! 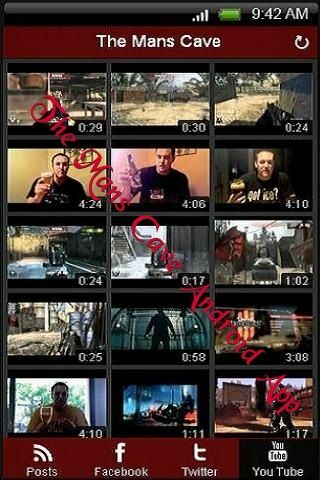 Now enjoy the teaser trailer below! -There is something about eating a freshly shucked clam out of the northeast Atlantic while drinking this nicely restrained IPA. While the citrus and floral hops are present from aroma all the way through the taste, they are nicely balanced by some crystal malts that round out the beer. The briny, salty tang of the clams is a sharp contrast to the hoppy, bitter IPA, but they contrast works out perfectly. -Every now and then, you just need a huge hunk of rich chocolate cake to satisfy a craving. Why not have a beer that compliments that dark, richness of the cake while you are eating? There is no doubt that this is a substantially bitter beer. The coffee flavor is right up front, and can be a little harsh on its own, but paired with the sweet chocolate, this beer takes on a completely different appeal. The chocolate, coffee bitterness sort of cleanses the palate of the strong, sweet chocolate cake. -This beer is easily one of the top 10 I have ever personally tasted. With all of the creativity coming out of this brewery, there are some of there beers that I personally think are over-priced and do not appeal to my tastes. However, this beer is worth every penny. The extreme hoppiness of this brew needs something strong and packed with flavor to stand up to it. Roast pork fits the bill for that. The sweet apples on the side perfectly complement the malty backbone of the beer, while the carmelized flavor of the roast pork is cut by the bitterness of the hops. -This peppery and fruity brew is bold enough to stand up to the beef flavor of a burger, but complex enough to allow you to savor the two of them together. The high alcohol (9%) adds a stronger backbone to this beer, and the pork flavor of the bacon perfectly complements the peppery depth of flavor. There is a graininess to the beer that creates a dry finish that is perfect for cutting through the fat of the burger and allowing the flavors of both to really shine at the same time. -I love fried chicken. Personally, the only thing better than fried chicken is slow smoked BBQ. However, in order to find a beer that will cut through all the grease of the fried chicken, you need something that is loaded with malts to kind of soak up that greasy flavor. This Oktoberfest is a malt bomb that does the job perfectly. While there is some hop bitterness to balance out the beer, the star of this brew is the malty flavor that dominates from the time you open the bottle. Yup, there it is... in all its glory! This one is for all of you Android lovers out there (I'm among them). While those Mac computers and iPhone guys are busy hooking up to iTunes to get all their music and video we Android guys have it a lot easier! 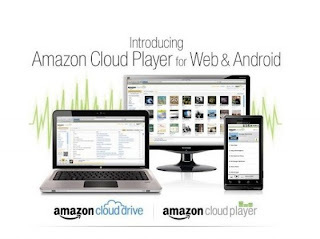 Amazon just announced today that they have a cloud based player and storage available to all Amazon account users and an Android app as well. Do not be fooled the android app is listed as the Amazon mp3 player. This means that every Amazon user now gets 5 GB's of free cloud service of which you can upload almost anything to.... and for a limited time anyone that buys a full CD (digital version) on Amazon you get bumped up to 20 GB. After that its just $1 per GB. But wait... there's more! any Amazon mp3 purchase can be downloaded to your computer or device, and/or uploaded directly to the cloud. Along with this any Amazon mp3 you buy from now on do not count against your cloud storage, thats right they get stored on the cloud for free! You can also upload your own files from your computer as well! So rejoice and enjoy Android and Amazon users! have fun living on a cloud while Apple guys are tied to their iTunes store! Speaking from personal experience, I am always looking for something new to try as far as the beer department goes. However, there are a few crutches of mine that I know I can always rely on in case I don't feel like anything new. In the spirit of changing things up a little, here are the top ten beers that you probably have never tried. These range anywhere from $6/ six pack to $15 per bottle. 10. 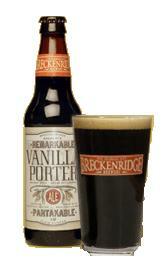 Breckenridge Vanilla Porter- Just had this on tap the other day. The waitress described it as the smoothest porter she has ever tasted, and I have to say I agree. Think the smoothness of Guinness, but with a flavor that delicately balances notes of vanilla with chocolate and caramel malts. Available for $9.99 for a six-pack, this is a beer to savor on those nights when the temperature dips a little lower. 9. Samuel Adams Boston Brick Red- Sadly this beer is available only in the local Boston area, which is why you probably have not tried it. Any time I make it to the Boston area, this red ale, loaded with malty flavor but balanced by earthy, spicy hops is the first pint I order. If you are in the area, make sure you find it. 7. Kona Pipeline Porter- The taste of coffee in beer scares me most of the time. You take a bitter drink and add more bitterness and the results could be scary. However, when done with restraint, the result is a well balanced porter, with a coffee note that is definitely present, but not overpowering. There seems to also be a slight sweetness to this brew that ties it all together. Plus, for only $6.99/6-pack, this brew is a steal. 6. 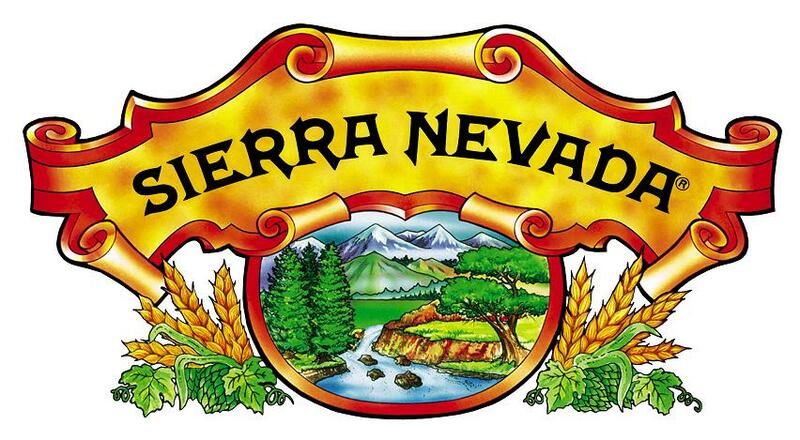 Sierra Nevada Glissade- This exceptionally smooth, spring beer is a perfect balance of hops and malts. From a company that is known for loading up on hops, this brew is a rare restraint in the hops department. The malty smoothness takes the lead on this brew that is here to welcome you into warmer weather. 5. 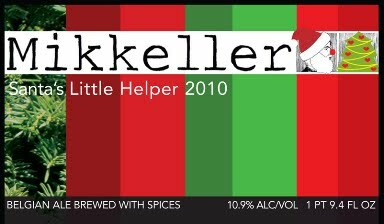 Mikkeller Santa's Little Helper- With the start of Spring comes the reduction of prices for winter beer. This Belgian/Danish beauty is one that I wish I had found a few months ago, but definitely enjoy regardless of when I found it. This is a wonderfully spiced ale that pours a dark black, but with remarkable head retention for the style. A perfect brew to enjoy on Christmas Eve, or any time you wish it was Christmas Eve. 4. Well's Banana Bread Beer- I know it sounds weird. Banana is a beer does not sound like it would be appealing at all. This brew proves otherwise. If you really allow this beer to warm up a little, you get a strong whiff of banana, balanced by a nutty depth. The taste mirrors the smell. While it looks has the appearance of a standard English bitter, the addition of the nuttiness and the sweetness of the banana create a completely new style of beer. 3. 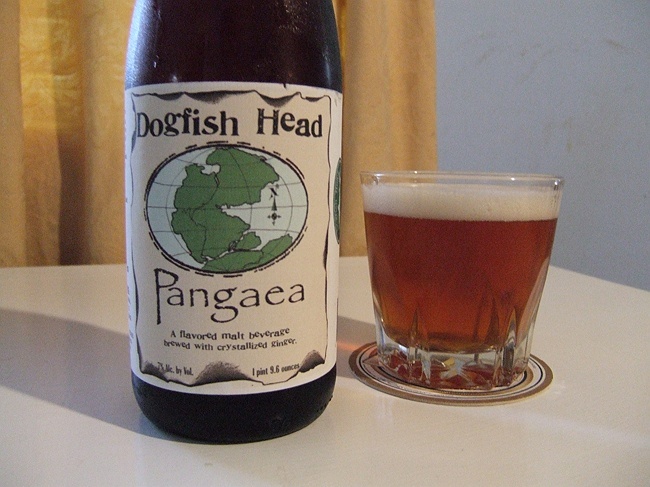 Dogfish Head Pangaea- This brewery's headlines are dominated by its IPAs. However, this unique brew is a wonderful distraction from those hops. It's claim to fame is that it has been brewed with at least one ingredient from every continent on the planet. I'm not sure the water from Antarctica actually makes a huge difference, but the resulting beer is surprisingly refreshing. Combining this many ingredients together creates the expectation that this beer will dominate your mouth. However, the carefully selected ingredients complement each other perfectly, and it is the ginger that unites this beer on your palette. 2. Left Hand Milk Stout- When most people think of stouts, they taste dark, bold, bitter beers that are relatively heavy on your mouth. This beer defies those thoughts. While the taste and aroma are definitely chocolaty, there is a lightness to this beer that perfectly counters the darker, chocolate malts. Left Hand has many good brews out there, but this one is so unique that it can't be ignored. 1. 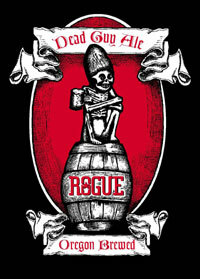 Rogue Dead Guy Ale- From the look on the bottle, you know this beer is going to be good. The smell is malty, but with some sort of fruitiness that surprises. The taste is a perfect balance of malt and hops, with the forefront being a nice toasty flavor and the background being that of the spicy, floral hops. This beer is fantastic. With all the attention that craft beer is getting now, it seems to be rare to be able to find a great beer without having to spend a fortune for it. In this post we will review some incredible brews that will allow you to enjoy them without having to save up for a year to try them! While they may still be more expensive than a case of Natty Light, in terms of craft beer this group is a great deal. 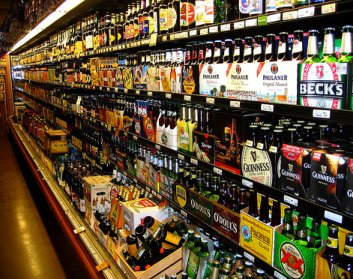 This is our Top 10 high-quality, low-cost (Less than $10 per 6-pack) beer list. 10. Blue Point Pale Ale- The print on this bottle immediately catches your eye, and the low cost ($3.79 for a 22-oz bottle) is unbelievable for a beer of this quality. For those of you looking for a "hop-bomb" this is not it, but it is a well balanced pale ale that is perfectly drinkable. The piney, citrusy flavors and aromas from the hops are well balanced by a malty backbone. 9. Lagunitas Hop Stoopid- This brewery is doing a lot of things that we love, and this Imperial IPA is almost like chewing on a fresh hop. While we hear that the use of hop extracts is employed for this brew, it is impossible to detect in this beauty. Loaded with citrusy, floral hop flavor that dominates your mouth, this brew will nearly rip the enamel right off your teeth. And its only $3.99 for a 22 oz bomber which is a steal for this style of beer at nearly 10% abv. 8. 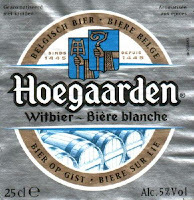 Hoegaarden- For myself personally, this beer was a life-changer. At $8.50/6-pack, it is on the steeper side for cost, and even though it is now owned by the same group as Budweiser, this Belgian brew is still incredible. As one taster put it, "It tastes like Christmas morning!" 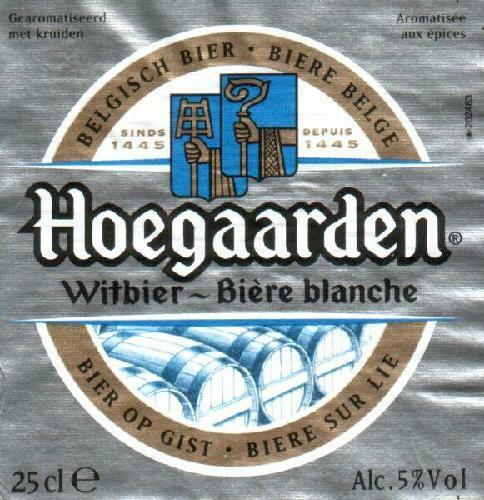 The spiciness that comes from the coriander and bitter orange peel perfectly compliments this Belgian witbier. This was my gateway into the world of craft beer. 7. Victory Prima Pils- The interesting thing about this beer is that in a style not usually known for its hoppiness, this brew is loaded with spicy, floral hops. This beer seemingly crosses the line between an ale and a lager and has a fantastic flavor for $9.49/6-pack. The only thing that keeps this from being higher on the list is its price. 6. 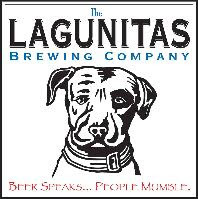 Lagunitas Censored- If the Lagunitas Hop Stoopid is a total hop bomb, the Censored is a complete malt bomb. While there is a slight spicy bitterness from the hops, from the aroma to the taste there is nothing but a carmelly, toasty smoothness that covers your mouth. At only $7.99/6-pack this beer is a phenomenal value. 5. 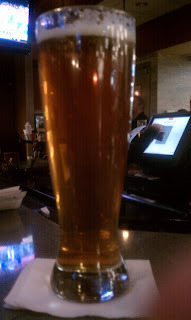 Southern Tier Farmer's Tan- This imperial lager is everything that a beer should taste like. It is full of refreshing flavor, and hides the fact that it is 9% abv extremely well. It pretty much tastes like paradise (see if you can't taste the pineapple flavor in it). If it was only a little cheaper ($4.99 on sale for a 22 oz bottle) it would easily be the number 1 beer on this list. 4. 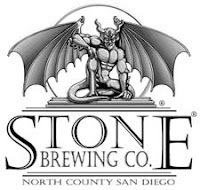 Stone Smoked Porter- While it is sometimes hard to find darker beers such as this porter for a reasonable price while still palatable, this one is an exception. At only $4.99 for a 22 oz bottle, and at nearly 6% abv, the smokiness that underlies an incredibly smooth beer is completely worth it. Chocolate and some coffee flavor help to round out this beer into a well-balanced flavorful porter. 3. Sierra Nevada Bigfoot Barleywine- This is one big beer. 9.6% abv and 90 IBU's (the measure for bitterness). And yet, as powerful as it is, there is not one flavor that is out of proportion in this bold brew. There is a strong alocohol note that is accompanied by the bitterness of citrusy hops and balanced by tastes of figs, plums, and brown sugar. A 6-pack of this comes out to about $9, but the amount of flavor it packs, as well as its ability to be aged for years, puts this one in our top 3. 2. 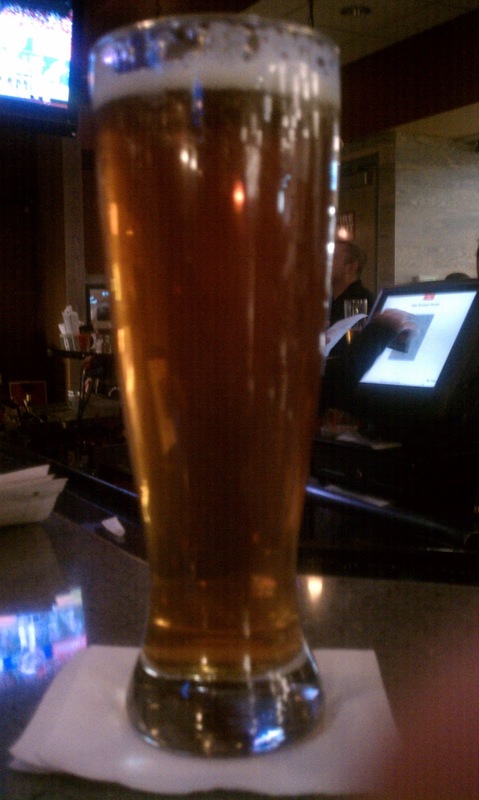 Southern Tier IPA- This is near perfection in a glass. A beautiful red-orange pour is only the beginning for this beer. The off-white milky head clings to the sides of your glass, and citrusy, spicy hops meet your nose immediately. The taste is smooth, bitter, malty, and sweet all at the same time. The citrus from the hops is the first thing you taste, and then the sweetness of the malts gradually takes over. Like the Farmer's Tan, the only thing that keeps this brew from being number 1 is the price. $8.49 for a 6-pack. 1. 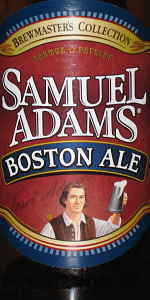 Samuel Adams Boston Ale- While it might surprise you that a Samuel Adams beer is #1 on the list, the flavor that this brew packs along with its low cost easily takes the cake. At only $6.99 for a 6-pack, it is amazing that Samuel Adams beer company puts this much attention into their craft. The beer is a perfect balance of noble, spicy hops that complement the caramel taste of the malts. By fermenting this beer at a lower temperature, Sam Adams essentially presents an ale and all its flavorful tastes with the smoothness of a lager. The nose makes it clear that this is a very well balanced brew as the spicy hops and maltiness are balanced by some fruity undertones. This is an exceptional beer at an outstanding price. Thanks again to all of you who follow us and like our page on Facebook. Pass our link on to all your friends and let them in on themanscave.org. Let us know what your go to brew is by commenting at the bottom of the link! Cheers and happy brewing! Well, if you are like anyone else on the planet, your bracket is probably shredded and in the trash by now. 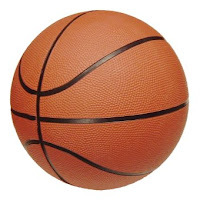 However, March Madness is as interesting, if not more, than it ever has been, and mostly because of the teams that no one expected to still be playing. Before you go and jump on the VCU bandwagon, however, let's make sure they really have what it takes. #1 Ohio State vs #4 Kentucky- This could be the most exciting match-up in the Sweet Sixteen. Ohio State has been exceptional in every aspect of the game, but the most exciting part is that they have hit shots from the outside consistently. The emergence of Brandon Knight as a bona fide star has Kentucky riding high. Expect Calipari to have his team dialed in when a large crowd only a few hours from Kentucky meets for this contest. We're predicting this game to be decided by a buzzer beater, and if it goes the way it has, Knight will have the ball in his hands at the end. #2 UNC vs #11 Marquette- Despite the fact that Marquette has upset both Xavier and Syracuse, it will be next to impossible for them to pull off the upset here. While they do take care of the ball by limiting turnovers, look for the athleticism of UNC to be too much for Marquette to handle. #1 Kansas vs #12 Richmond- While there are many people jumping on the Spider's bandwagon, it might be better to just stay on your feet. Just like Marquette and VCU, it took a late hot streak to get Richmond in the tournament, and they continued to ride that streak through the first weekend. Despite the quality of play in their first three games, the Morris twins will be too much for Richmond to contain. That and the fact that the supporting cast for the Morris twins has shown that there is more to Kansas than just two players will lead Kansas to another Elite 8. #10 FSU vs #11 VCU- The way that VCU has played has been nothing short of amazing. The speed from their guards has blown by any team that has attempted to run with them. However, FSU has proven in these past two games that they have the perimeter defense to shut anyone down, and as long as they continue to manufacture points on the offensive side, FSU will be tough to beat. This game might very well come down to free throws at the end. #8 Butler vs #4 Wisconsin- Butler's size has been the reason they have been able to make it this far, and it was impressive to see them stand up to the giants that Pitt had out on the court. That said, Wisconsin turns the ball over far less than an over-rated Pitt team did, and as long as Wisconsin doesn't go 10 minutes without a basket, they should squeak away with a win here. #2 Florida vs #3 BYU- Now that Pitt is out, both of these teams are watching their road to the Final Four clear the way. This game should prove to be a battle between Jimmer Fredette and the backcourt of UF. Chandler Parsons is proving why he won the SEC player of the year, and Irving Walker and Kenny Boynton are showing their skills from downtown. Jimmer is next to impossible to stop, and don't expect Florida to contain him, but the Gators are looking to avenge their bitter loss from the first round last year, and as long as they don't forget that there are five players on their team, they should avoid the upset. #1 Duke vs #5 Arizona- Since the start of the tournament, I've thought that Arizona was being over glorified by most of the so called "experts." While Derrick Williams has proven that he will be a first round pick in the NBA draft, it takes more than one star to win in the Elite 8. The addition of Irving to the Duke roster, who Coach K says will see significant playing time, makes Duke a clear favorite to reach the Final Four. They can score inside and outside, and when it needs to be their defense is stifling. #2 SDSU vs #3 UConn- This could very well be the fastest game of the tournament. Both teams have exceptional speed and can get up and down the court with ease. While Kemba Walker has been fantastic carrying his team through the tournament, there is only so far that one player can carry a team. This is the limit. SDSU controls the ball well, and the balance of talent will force players other than Walker to beat them. This will be the end for the Big East champs. The favorites are that for a reason. The broad array of talent from these higher ranked teams should give them everything they need to advance to the Elite Eight. Kentucky looks to be the favorite to pull off an upset, as long as their inexperience doesn't turn around and bite them. Having Calipari as their coach should give them enough presence to pull the upset. If you are planning on heading to the movies at some point, do yourself a favor and do not go to see Battle: Los Angeles or The Adjustment Bureau. Battle: LA has been described as watching other people play video games...Not exactly exciting. And while we at themanscave.org usually find Matt Damon's movies to be phenomenal, there is something about this one that is just lacking. Damon and Blunt pair together perfectly, but the story itself is too weak to hold up to them. It's not a bad movie by any means, but certainly not a great movie. Red Riding Hood is a great choice for a date night this weekend because it combines the best of both worlds. While it is not at all the fairy tale that your significant other has idolized her entire life, the combination of Amanda Seyfried and a suspenseful/horrific take on this child's tale will have you intrigued and your girl attached to your arm. Sounds like a good combination to us. Limitless is everything that it is expected to be. Bradley Cooper has perfected the role of smug arrogance, but in this movie he trades some of the ridiculous humor for a darker sense of needing to be successful. De Niro is the perfect foil for Cooper's brashness; a no non-sense, give it to me like it is type of character that he has made famous is the best compliment we have seen with Cooper since the trio that supported him in The Hangover. You won't regret seeing this movie over and over. Well, if you've been following along with us through the process, you are now ready to bottle your beer! While there are many options available out there for the homebrewer to use, such as kegging, the easiest and cheapest initial setup is to bottle your beer. On top of that, it is nice to be able to have the convenience of sharing your homebrew by just giving friends a few bottles to try. When I first started out bottling, I used the plastic bottles that Mr. Beer recommended, but realized that it just wasn't as nice as cracking open a cold beer with a bottle opener. If you are interested in the plastic bottles, Amazon offers them at a great price, and they are completely reusable. (The process for using these bottles is the same as below, except you just screw on the top instead of capping it. For those of you like myself, you will need to get bottle caps and a bottle capper. I use basic bottle caps and have never had any issue with them. There are a various assortment of bottle cappers out there, each offering different advantages, but for both its price and ease of use, I prefer the basic bottle capper known as the "Black Beauty." Once you have both your caps and capper, all you need now are bottles. At the bottom of this post I will place a link to Amazon for empty beer bottles. DO NOT BUY THEM! Here is why... The cost for buying empty beer bottles plus the cost of shipping comes out to around $1 per bottle. Instead, when you drink a beer, just save the bottle. As long as you are buying decent quality beer, and the cap is a pry off cap, then you can use the bottle. For both the beer that comes inside, and the look of the bottle, I prefer to use Samuel Adams bottles. Just make sure you rinse the bottle out after you empty it because dried on beer is nearly impossible to wash off. So now you have your bottles, caps, capper, and your beer. If you followed our advice earlier, you either have a spigot on your bottles from which you can bottles directly, or you have a racking cane and a bottling wand. Regardless of which way you are bottling, you need to sanitize your bottles and caps. I do it the same way I did before; by adding 1 tablespoon of bleach for each gallon of water to a large bucket, and then submerging the bottles into the solution with the caps for 15 minutes. Once the 15 minutes is over, do not rinse the bottles and caps, but pour and shake as much water out as possible. You then need to add what is called priming sugar. TO save in cost, regular table sugar can be added to each bottle (3/4 tsp per 12 oz bottle) or you can buy something like Cooper's carbonation drops. Once your priming sugar is added, all that is left is to fill each bottle to about 1 inch from the top and the capping the bottles. Once all of your bottles are capped, they need to be place in a dark room or closet that is room temperature for at least a week in order to carbonate. Most beer will only improve with time, so if you are able to wait, 3-4 weeks in the bottle will greatly improve the taste of your beer! Well, we've taken you on the basic journey of all-grain homebrewing. We hope that these last several posts have been informative and interesting! If you choose to follow this recipe and brew this beer, let us know how it turns out, and if you have any comments or questions regardless of whether you are brewing just let us know! The world of homebrewing is a vast and expansive hobby with an unlimited number of questions and topics that you can delve in to. We hope to continue to provide you with fantastic information that broadens your knowledge as a homebrewer. If you have a certain topic that you would like to have covered, just add a comment and we will make sure we discuss it! Thanks to all our followers our there. Cheers and happy brewing! Brew Day is Finally Here!! Well, I've finally been able to get on here and get all my pictures up from the other day. Using the recipe I provided in the last post on brewing, I brewed 1.5 gallons of this American Amber Ale. So rather than just tell you about how I did it, I'm going to provide you with step-by-step instructions below. If you have any questions just comment below and I will answer them as soon as I see them. Cover pot with lid and towels and let sit for one hour. -This is called your mash temperature. After one hour remove towels and heat liquid in pot to 168. Once pot reaches 168 turn the heat off and remove bag being careful to drain runoff liquids back into the pot. This step is called the mashout, and it basically allows us to maximize the sugars in the grains after converting the starches that were in the grains. Bring temperature up to a rolling boil and add .4 oz cascade hops. I like putting them in the 1 gallon paint strainer bags from Lowe's because then I don't have to strain my beer at the end of brewing. After the last 15 minutes of boiling, remove pot from heat and quickly cool in ice bath. - Basically fill put your pot in the sink and surround it with ice water. Then stir the beer in the brew pot with a sanitized spoon until it reaches around 75 degrees. You will need to add more ice around the pot. Strain cooled wort into 2 fermenters, each receiving about .75 gal. Use strainer and funnel to pour and remove hops at the same time, unless you used the paint strainer bags. Add half of Safale US- 05 yeast packet to each fermenter. Place stopper with blow off tube in each jug and allow to ferment in cool dark place for two weeks. Since I live in ridiculously hot South Florida, I put my fermenters into a large plastic storage bin and filled the bin up with water to the same level of the beer. Then, I simply added a frozen ice pack every couple of hours, or when I remember, in order to keep the temperature down. According to the Safale website, the proper fermentation temperature is between 59 and 75 degrees. For this beer, I try to keep it between 64-66 degrees. So there you have it! Your first brew day is complete! Up next will be the "Transferring the Beer" post and the "Bottling Your Beer Post." Until then, cheers and happy brewing! So we've all seen the reviews from just about every sport's site out there as we start filling out our brackets hoping to win the big prizes this year. But every year, it seems like there are those couple teams that make a run to the Elite 8 or Final Four that we never expected. Here are themanscave.org's four teams that you should remember when it comes time to pick your bracket. Remember that despite the over-hype, upsets are typically rare and the highest seeds are usually the one's playing at the end of the tournament. EAST- While Ohio State was named the #1 seed overall for the entire tourney, the teams that they will be forced to face make their road to the Final Four anything but easy. While Xavier may be a #6 seed, if they can get through the first weekend, they have a good shot at taking down the #2 UNC. UNC is physical and athletic, but we have seen them struggle at times with teams that shoot the ball well and have an inside presence. Xavier has both of these abilities. WEST- Our biggest upset to watch in the first weekend will be Oakland over Texas. While Texas was a favorite early in the season to be a contender, they have proven to be unreliable from the free throw line, and at times on defense they are lack luster. Look for a team like Oakland who can light it up from downtown to give them a run for their money, and then possibly win the second game against the winner of Arizona/Memphis. SOUTHWEST- PURDUE! PURDUE! PURDUE! This team will win several games in this years March Madness and they could possibly find themselves in the Final Four. By causing turnovers consistently, and boasting wins over both Ohio State and Wisconsin, the fact that Purdue has a relatively easy road to the Sweet Sixteen puts them in a similar position to that which Duke was in last year. This team will be exciting to watch. SOUTHEAST- While Wisconsin year in and year out looks like a team poised to make a run, they always find a way to disappoint. Instead, look to BYU to be a contender in this years' tourney. Despite losing the inside presence of Brandon Davies, Jimmer has shown that he can score better than anyone in the country, and they manage to keep teams in check on defense. Their first challenge shouldn't come until they play UF in the Sweet Sixteen. Before you read our movie suggestions check out our great deals for gift cards. Movie gift cards are an easy and awesome way to give someone a gift in a pinch. No matter what type of person they are, a movie gift card is right up their alley. The gift cards are good for movie ticket purchases and anything at the concession stand! This movie clearly tries to attract the “Twilight” fans with its flashy werewolf terrorizing the village. They also seem to try an attachment to the old “Little Red Riding Hood”. However, instead of visiting grandma, she is just in love with the human figure that the werewolf takes when it is daytime. Between the famed werewolf hunter and village people rising against this beat, this movie just may have a decent amount of action to keep you occupied. However, something tells me that the love story behind it all will bore you to death. I chalk this movie up to the artsy fans out there. Another epic battle between an unknown alien-race and humanity! This movie promises to pack the screen with action. We are giving this movie the thumbs up for this weekend’s entertainment. It most likely will not appear in any awards for 2011, but it will be a hit while it’s in theaters. Who doesn’t want to see Los Angeles ravaged by an alien war as the last stand for humanity? This is our top pick for opening movies this weekend. What can we say; if you have a couple kids that are in need of something to do this weekend then take them to Mars Needs Mom. The animations are good and the actors can pitch a good joke now and then. This movie gets our thumbs up if you’re a father or uncle looking for something you can all do. Just remember that getting ice-cream afterwards is probably more treating you for being a stand-up guy then a treat for the kids! Xbox 360 2 Coming Soon?? There were some alarming hiring ads on http://www.linkedin.com/ posted by Microsoft. Here are the three positions that are leading us to believe they are in talks about creating a next generation console soon! Click on the links to be directed to the actual Microsoft hiring ad on Linkedin. Obviously its way to early to even have a name for a potential device, or even know if its completely true. But all signs seem to be pointing in the direction of a new console that could be coming soon! Now that you are the first to know of a possible new Xbox console, what features would you like to see in it? designs, anything? 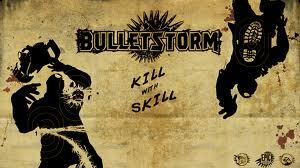 New Bulletstorm on sale for only $40! Just letting our fans know that we have not been posting all weekend due to our discussions about launching the site. All this talking will pay off soon! However, our continued absence from updating will be prolonged for a big more while we hammer out the details. 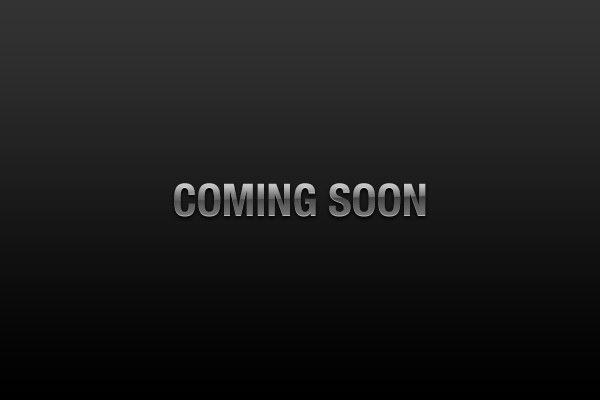 We will keep our social network avenues updated as the launch date becomes announce-able! We will try to keep some updates popping up to keep everyone interested. But stick with us, I promise launch day will not let anyone down! Excited for the Game Homefront? Check out the New Multi-player Video Here First! Amazon Instant Videos Weekend $1.99 Discounts! Great news for The Mans Cave dwellers! Amazon has a weekend promotion that allows you to get a 48 hour rental of anyone of these three movies for only $1.99, or buy the digital copy for a low price! Not a bad deal if I don't say so myself! An absolutley hilarious movie! In my book this one is a must have, and for only $1.99 to own, this is a deal! Its got the humor to keep you guys enterained, and the slight romance to keep your girl happy too! By the end of the night you'll probably be repeating the jokes to one another, and wishing you were in Hawaii. This is anotherone that will give you some serious laughs. the only downside to this movie is the serious tones it gives off. At first you want to laugh at Steve Carell's antics all day long, but once his story unfolds you stop laughing and feeling sorry for him instead. Still this is a movie that you will be laughing at, but just don't say I didn't tell you about the stuff that kills your laughter; still that $1.99 price is worth those little laughs. Not a bad movie. Although all the hype in commercials made it seem like this was a movie that stricktly Gamers would love, but I found it to really not be like that. Yes the movie has video game like scenes, but sometimes your left scratching your head just wondering what, who, when, where, and why? Besides being left with slight disa pointment I would still say that for $1.99 this is a steal to watch, or even own! I will be as honest as possible here... this movie was actually one of those chick type flicks that I was able to enjoy because of some comedy. First off if you don't know the meaning of the word "irony" then you may not be laughing so much. Still with a price of $1.99 and the promise of you laughing, and your girl appreciating you seeing a move "she picks" this is a good deal! First, where is the cloud sync for music? Sure the iPad 2 can get apps like Audiogalaxy or Air Server, but these only let you stream music, not back-up and store it on the iPad itself. Lets face it, the computing age is going to the cloud sync, but Apple is still pushing that clunky hook-up to iTunes deal. 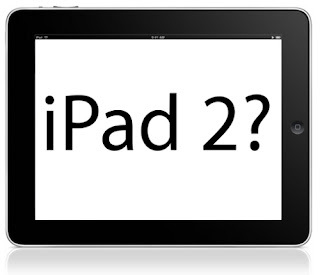 So what is your take on this new iPad 2? Still plan on buying one, or are you now leaning towards the Android tablets? As some of you may notice, we added another page (see navigation bar at top of site). 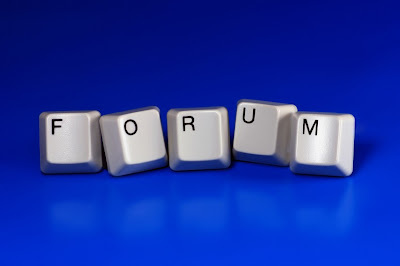 Yup, thats right, The Man Cave now has its own Forums page! fully functional of course! Go on there and give it a try, be the first one to post something! Others can respond as well as us Admins! We give nothing but the best for you guys! Be sure to leave a comment or two if you have any suggestions. Enjoy the new update! NL Champ and World Series Picked Today! 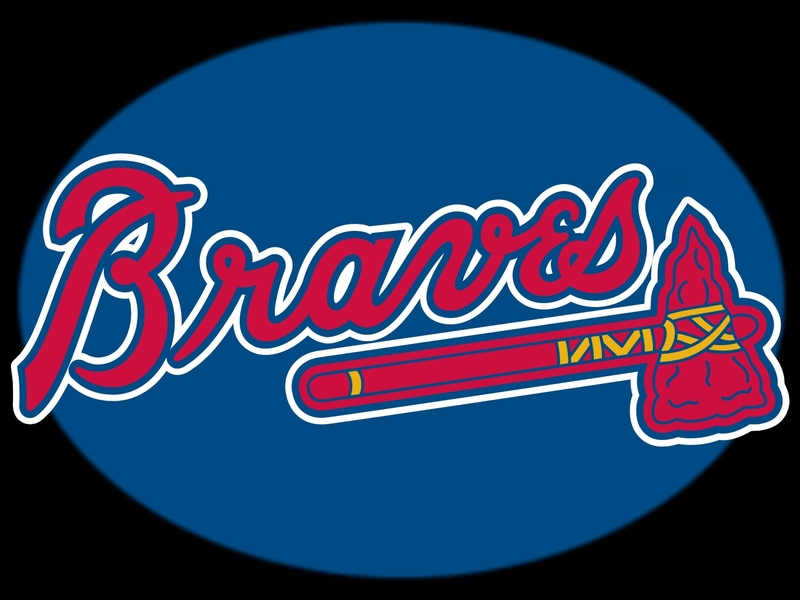 NL EAST- This year could very well be a three-way race to the finish in the East as the defending Phillies attempt to hold off the Braves and Mets as they make a run for the title. The Mets have proven in the past that they have the ability to score runs and win games, but there isn't much certainty that they've made any sort of improvement to a bullpen that cost them many games last year. While Reyes, Bay, Santana, and Wright will continue to put up stellar numbers, the pitching staff is just too thin to contend with the Phillies. 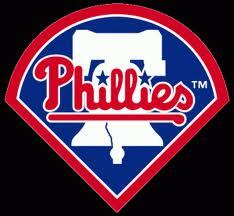 The Phillies themselves are consistently looking like the team to beat in the NL. Despite the Giants success last year, it is tough to argue that there is a better rotation out there other than the Phillies. If Oswalt can revamp his numbers, and Rollins can play like the star he has been, this team should have no issue making the playoffs. The Braves are poised to regain their role as the top of the NL East. The addition of Dan Uggla instantly adds pop to their lineup, which already is loaded with up and coming stars like Heyward. Look for Tommy Hanson to make a run at a 20 win season since he will be pitching in the 4th slot of the rotation. As long as Jurrjens can maintain his composure, and Chipper can stay healthy, this team could steal the East from the Phillies. As far as the Marlins and Nationals go, there is just not enough experience or talent to contend in this division. The Marlins have some stars that will probably go off to win a World Series for another team some day, and the Nationals are trying, but just not quite there yet. NL CENTRAL- There are way too many teams in the NL Central. There are simply no expectations for the Cubs to do anything this year, so look for them to actually play some good baseball and win some games, as long as Zambrano doesn't start throwing coolers around. The Reds look to capitalize on their successes from last year with a pitching staff that is led by Cueto and Volquez. This team should be exciting to watch, and Joey Votto could push for the NL MVP. The Astros roster is filled with players that no one has ever heard of outside the city of Houston, but young talent in this league always seems to find a way to win games. Don't expect playoffs out of this team, but they should be decent enough to matter, especially when Wandy Rodriguez takes the mound. The addition of Zach Greinke to a powerful lineup will immediately take the Brewers to the next level. 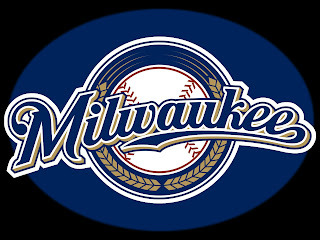 Braun and Fielder are a great 1-2 punch that should carry this team into the playoffs. The Pirates appear to be in the same situation as the Marlins. They have some great young talent, but it never seems to stick around. McCutchen is a speed demon that can cover just about anywhere on the field so look for him to possibly be shipped off before the season ends in return for some prospects. After a disappointing season last year, the Cardinals hope to right their ship and return to contention for the NL Championship. Pujols will be his usual self, but look for Ryan Theriot to play well after escaping the black hole of Chicago. NL WEST- This may be the most competitive division in baseball this year. While the Giants hope to rely on Lincecum and Cain to carry them back to the World Series this year, the return to glory won't be easy. With Bartlett commanding the infield, and a solid pitching staff from start to close, the Padres look to be the 1st contender to take down the Giants. The Dodgers have a fantastic bullpen that will help them pull out close games late in the season, and their lineup should produce plenty of runs behind the bat of Kemp and Loney. 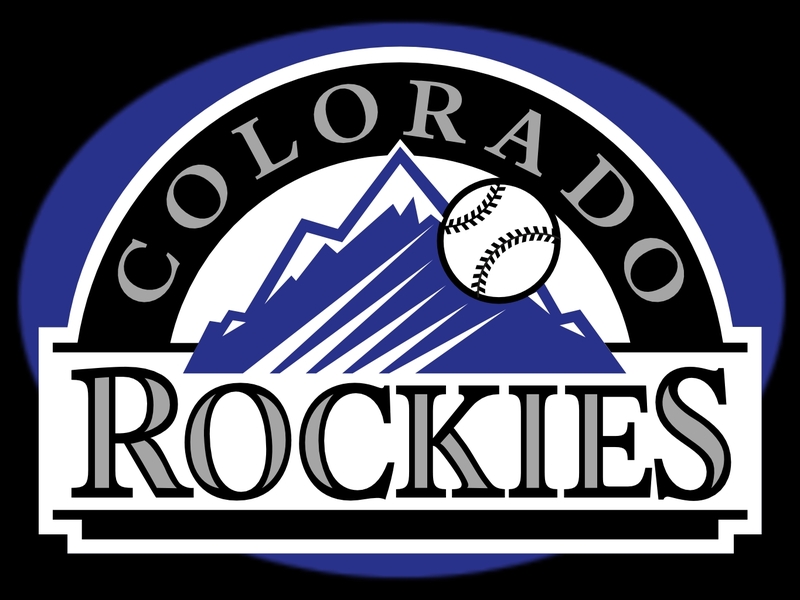 The Rockies could be the team to watch with a starting rotation that manages to hold opens in check in that home run hitting fest of a stadium that they call home. Their bats can be electric at times and the speed of Fowler will ensure that they constantly have runners in scoring position. The D-Backs would surprise quite a few people this season with solid pitching from Hudson and speed and power from Upton. This division will be tight down to the last week. In his first season as the replacement for Bobby Cox, Freddy Gonzalez will lead the Atlanta Braves into the World Series! Cox has left Gonzalez with a team loaded with young talent and experienced leaders. The Phillies will make it to the playoffs, but look for a key injury that will keep them from going deep into the playoffs. 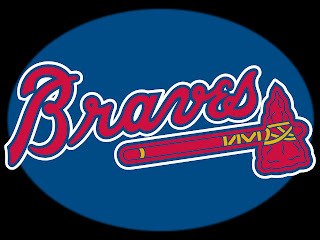 The 2011 World Series will be the BOSTON RED SOX vs ATLANTA BRAVES. The time has finally come! You've gotten interested in brewing, you went out and gathered all your equipment, you bought your ingredients, and now you brew right?? Almost! In preparation for the actual brewing post, there is one last thing we need to discuss... Sanitation. The biggest threat to brewing good beer is to have it get infected and taste terrible. While the alcohol in the beer will kill anything that could get in there, it will not kill the taste of what the bacteria leaves behind. When in doubt, you must sanitize. So how do you sanitize? While you can buy sanitization products such as StarSan or Iodophor, I have found that for price and effectiveness, nothing beats regular old bleach. You have to let everything soak in the solution for at least 15 minutes to ensure sanitation, and remove the sanitized equipment and place on a very clean counter, but DO NOT RINSE YOUR EQUIPMENT AFTER SANITATION!!! This will ruin the purpose of sanitation. Well, you now have everything you need in order to brew! 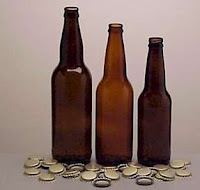 Check back on soon to see a step-by-step post on how to successfully brew your first batch of beer! Cheers and happy brewing! The Man Cave is Now on Youtube! 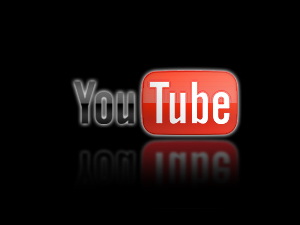 Come on over and check out all the videos we upload on our site! Also check out our subscription to eVo DEADPOOL's youtube channel to see more him in action! 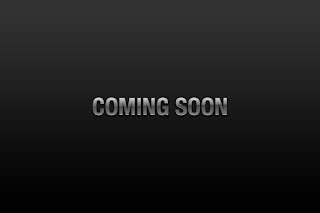 Please bare with us while we continue our discussions for our announcement, it wont be much longer now! With less than 2 days to go, the NFLPA and the owners have yet to reach an agreement on a new Collective Bargaining Agreement. For most of us out there, this information means absolutely nothing so we here at themanscave.org are here to clarify. The basic idea is that the NFL and all its teams bring in a certain amount of cash flow that the CBA is responsible for distributing to all those involved. Under the past CBA, the owners immediately received $1 billion off the top of this fund. $1 BILLION!!! 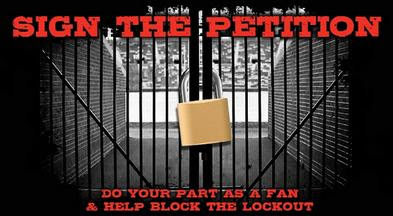 If the current attempts at negotiating a new CBA were to fail, there would be a work stoppage as the players and owners would essentially be refusing to participate in the league. There have been previous instances were such as happened, and it basically will leave thousands of people without a source of income. The big catch in all of this? While prices are rising exponentially and us fans are forced to pay more and more for a ticket, (Not to mention that it costs $20 to get a beer and a hot dog!) the owners are attempting to increase their off the top share of the pie to $2 BILLION!! So not only do you have a group of owners that want to increase the amount of money that they receive, but you also have players and lawyers and agents that want to see their share increase as well. What does that mean for us, the average fan? Consider this... There are 32 teams in the NFL. That means that each week there are 16 games that are played. (For this purpose we will ignore bye weeks) If each of those 16 games were to sell out, and each of those sold out games held 50,000 fans. The average cost of a ticket in 2010 was $76. That math turns out to this (16 games x 50,000 fans x 76)= Just over $60 MILLION dollars. So consider the fact that the owners, players, agents, and lawyers want to increase their share of profits up to 200%, where do you think all that money comes from??? I can all but guarantee you that ticket prices for the next season will average at least $90. I don't know about you man cavers, but I don't exactly have $90 (Plus any food that I may eat while I am there) to spend each week to go see a game. It's going to be interesting to say the least if the players and owners come to a deal and show up in August to play in an empty stadium because no one can afford their tickets. Get ready to watch a whole lot of baseball and college football!! 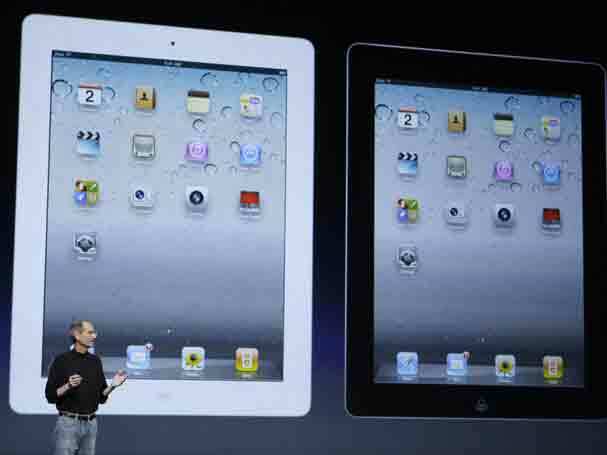 Just one year after the release of the first iPad, Apple now announces the iPad 2! As you can imagine it looks very similar to the original iPad but is now 33% thinner (8.8mm thick), and now features dual cameras (front and rear facing). It now has a dual core CPU, the A5 proccessor which will allow it to get as much as 9 times faster graphics! The starting price of this brilliant machine, just $499 and goes up to $829! Apple is still not finished its full announcements, so be sure to check back and see the rest of them here on The Man Cave! eVo DEADPOOL says Thank You! Big Event in The Making!